Are you an existing business planning a new website to replace an outdated one? Or are you a new business looking to build their first website? Either way, keep reading. Creating a website for your business is one of first things you do. A report says that 92% of small businesses predict that they will have a website by the end of 2018. The figure showcases how some businesses are yet to come up with their own website. Talking of the factors behind the reason that some businesses are yet to build their own website; the challenging idea of getting started with a website can be daunting for some. Other factors being the cost-effectiveness of the decision and the overall awareness of how not having a website can affect the growth of the online entity behind it. Failing to have your own online presence is equivalent to killing the opportunity of tapping new leads and other business deals. If you don’t have a website yet and are able to feel the severity of this threat, you won’t take another day to start building on the idea. If you are looking for resources that can help you get started with your own website, this blog post is the thing for you. Here, we are talking about the initial steps that you will be required to take in order to hit the bull’s eye for your website project. Before you start building your own website, you need to be very clear of the objectives and goals you expect it to meet. Based on your target audience, your website has a role to play, regardless of the industry it belongs to. If your website is about showcasing your products, you can move forward with an E-commerce format of the website so that you can later introduce sales as well. However, if your website is just a digital expansion of your business identity, a single page website can serve the purpose. On the other hand, an elaborative website would require further more brainstorming and ideation. The existence of a website is justified by the audience it serves. If you are looking to set up a website that is audience-centric and has been created with a purpose of audience feeding in a lot of their personal information, you will have more work to do. Your website must offer excellent user-experience to its visitors. Think of the ways and means that can simplify the website browsing experience for your audience. Step into their shoes and think of how you would like a website to function if you were dealing with a brand/business/service which is similar to yours. Considering the buyer journey of your potential customers can also be very helpful in deciding the architecture of the impending website. The best way to create a good website that functions well is to look at how experts implement stuff within their own websites. You can take a close look at a website that is either relevant to your line of business/service or you could even surf the internet and look for best websites that are an inspiration in their designing and content management. Next up, decisions regarding your website’s User experience (UX) laced web design must be focussed at. A consumer’s first impression of a website is 94% design-related. Hence, focussing on what the audience really wants to see and experience on your website should be a key determinant when it comes to making decisions regarding your website’s design. If your website turns out to be the one with a poor design that offers no value to its audience, 85% of consumers will probably be inclined to abandon it. Hence, in every designing decision you arrive on, always keep your audience in the mind. With a goal in view, the next step in your website building journey would be to hire the right people who can provide value to your website. After going through the steps mentioned above, you will able to figure out the people needed to make things work for the finalized web design, content, and architecture. Never underestimate the prowess of an expert professional and do not try to save money off of the website investment fund by hiring cheap help. This decision can end up in you building a faulty website with either non-functional features, pathetic content or a lot of errors. When you have made decisions regarding the architecture and design of your website, you are now supposed to put it in writing through a website scope document. Skipping this step will only increase your website completion time, create a lot of confusion for the team, and cause inefficiencies during the work period. Your website scope document should be such that it clearly defines the website project in its entirety i.e. the project tasks, the design architecture, team’s approval, any special website concerns, requests by clients (if you are a website developer), the timeline, the cost variation over the expansion of this timeline, and other similar details. Creating the scope document for your website project will help you put down your creative genius on the paper for the team to follow. By the time everyone on the team has been through this scope, they will be able to identify themselves with the expectations and the goals and will be able to present a time duration for the completion of those tasks. Once the blueprint for the project is at hand, you should be able to make content related decisions. 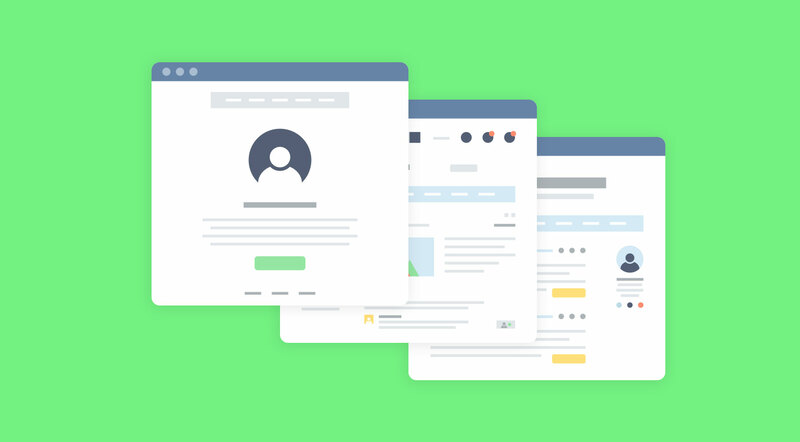 By this time, you should have a clear mental picture of what pages and website features shall be required to meet your audience’s needs and expectations. These decisions will later impact your website marketing strategy because if you manage to miss out on certain website features or website content, you might miss a brick in the wall. If your website project budget allows you to have a website prototype before the final product, that would be excellent. This interactive demo will give your team an insight into the end product. Meant to serve certain purposes, a website prototype will help you test a stream of ideas your team might have on the designing part. You can also receive feedback on the current prototype and see if your team is moving in the right direction with its website related decisions. With the feedback received, you can keep on making changes and once the prototype garners everyone’s approval, you can move to the next development stage. If you have chosen to finalize the website over the approved prototype (if you create a prototype, at all) or if you want to start putting the building blocks together even without a prototype, you will always need a clear timeline and a schedule that defines the role of your team members and their respective deadlines. Having this schedule will save you time as well as the cost of the project. With the above stages being taken care of, you will arrive at the point where you and your website development team is ready to hit the table and begin building it. After your website is ready for a launch, you can compare the schedule with the actual results and see if your team was efficient enough to meet the goals within the stipulated time. Bonus Tip: While building your website, you need to keep in mind that your end product i.e. the website needs to be speedy since 47% of consumers expect it to load in 2 seconds or less. So, all designing elements i.e. the HTML, the CSS, the images, the content, and everything else needs to be strategically put out so that you don’t end up creating a bulky website that takes forever to load. Embarking on a website building project can be overwhelming for people who haven’t done it before. As challenging as it might appear to be, your website development can be a cakewalk if you have the right technical knowledge and the right team at work. Just follow through the guide furnished in this blog post so that you can exercise the expertise and the knowledge in the right order for a brilliant website that impresses its audience to the core.